Gene Tempesta is Of Counsel to the firm. He is a legal and business professional focusing in the areas of Business and Corporate law, Contract, Employment, Franchising, Sports, E-commerce and Copyright & Trademark Law, along with Strategic Business Planning, Marketing, Budgeting, and Estate Planning. In addition to his law practice, Gene has taught over 100 courses in Management, Marketing, Finance, Law, Ethics, Business Planning and Economics at colleges and universities. 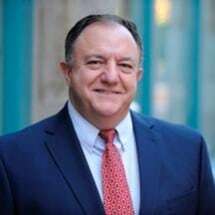 Previously, Gene served as Assistant Counsel with the Pennsylvania Governor's Office of Inspector General, where he advised, counseled and investigated fraud, waste and abuse within the executive branch agencies of the Commonwealth of Pennsylvania. Prior to that, Gene was with two Pittsburgh law firms in the Business Section, where he was editor of an e-commerce legal handbook, was a Bar Institute Faculty Member on e-commerce law, and served as an attorney in the U.S. District Court where he wrote federal judicial opinions on issues including international law, contract law, securities law, federal tax law, Freedom of Information, employment law, civil rights law and federal transportation law, as well as various other federal and state laws. Gene is also a published author on E-commerce. Before becoming a lawyer Gene served a fourteen-year management career with Rockwell International as Manager of International Marketing and Manager of Financial Planning in various locations throughout the United States. His Rockwell experience included marketing, financial and strategic business planning, purchasing, auditing, as well as negotiating on behalf of Rockwell on many things such as the NAFTA and commercial and defense contracts, some of which involved tens of millions of dollars on many varied products, including NASA's Space Shuttle and the USAF B-1B Bomber. He performed international marketing research and conducted business in places such as Beijing, Hong Kong, Tokyo, Seoul, Taipei, London, Paris, Riyadh, Atlanta, Chicago, Dallas, Los Angeles, Pittsburgh, St. Louis and Washington. Gene obtained his undergraduate degree from Duquesne University in 1980 and his MBA (Finance) from the University of Tulsa in 1984. He later pursued his graduate studies at Carnegie Mellon and Georgetown Universities. In 1998, he earned his Juris Doctor from Duquesne University School of Law, where he assisted organizations in economic development efforts. He graduated tenth in his law school class and served as Executive Articles Editor of the Duquesne Law Review. In 2007-2008, Gene was an NFL Players' Agent as Certified by the NFL Players' Association and represented Professional Athletes.